GIC Admit Card 2018: For hiring candidates for the post of Scale I Officers General Insurance Corporation of India has released GIC Admit Card. General Insurance Corporation of India is going to organize written exam to check eligibility and capability of applied candidates. Those who have submitted GIC Application Form can download GIC Exam Call Letter to appear in written exam on 22-07-2018. GIC Scale I Officers Admit Card is available for download by accessing through online mode. Candidates who are all set to appear in the examination are informed to download their GIC hall ticket till 22-07-2018 by visiting official website or by following the below provided steps that are prepared for the ease of readers. On the home page you need to hit on “careers” tab which can be seen at the top of the page to get GIC Admit Card 2018. After that you need to select “Recruitment of Scale I Officers 2018 – click here to download Call Letter” link. A new page will open on your screen and you are asked to enter the details. 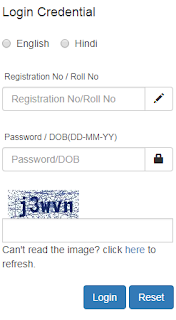 You are required to enter your Registration No/ Roll No, Password/DOB (DD-MM-YY) and security code. Recheck the entered details again and then press “Login” button. At last take a printout for your GIC call letter to appear in GIC Recruitment Exam. General Insurance Corporation Of India is organizing entrance exam for the candidates who wish to grab jobs of manager and others, aspirants are keen to appear in this recruitment exam to avail this golden opportunity. Therefore they are suggested to keep their call letter safe and secure as it plays very essential role. All the participants of this exam have to bring their admit card of GIC of India along with them during the examination, without it candidate would not be allowed to enter the examination hall. It is mandatory document as it contains all the necessary information like roll no, date of birth etc, and thus acts as an id proof of the contender. So don’t forget to carry it. GIC is famously known as General Insurance Corporation Of India was founded on 22 November in year 1972 as private company. It’s headquarter is located in Mumbai and deals with insurance market. GIS is individual proprietor company which is registered under company act 1956. The company is experienced and running successfully in its field. Candidates who want to download GIC Admit Card 2018 they can download it by directly hitting Official Link. For more info in this concern candidate can switch to official website of the organization, you can subscribe our free email service and follow us on Facebook or Google plus to remain updated.